Join Center Bi and BiNet USA President Faith Cheltenham for light refreshments in a welcoming, informal space so we can get to know each other! We’ll also have a reading by contributors to the anthology Recognize: The Voices of Bisexual Men, co-edited by Robyn Ochs and Dr. Herukhuti. BiNet USA + Our Tomorrow will provide attendees an opportunity to share their hopes and ideas for the future. 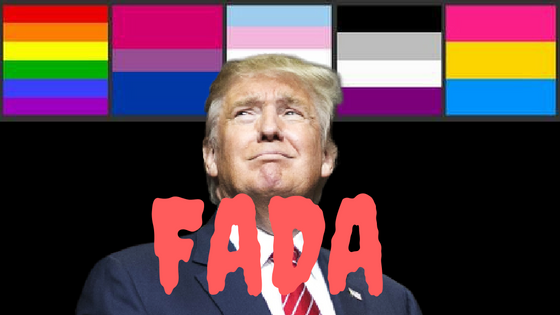 Sponsored by Center Bi, BiNet USA, Human Rights Campaign, AMBi of Metro DC, and The Center for Culture, Sexuality and Spirituality. I am deeply troubled by the news today of the resignation of Emily Dievendorf from Equality Michigan. Board members of BiNet USA will further investigate Dievendorf's resignation in connection to the recent decision by the National LGBTQ Task Force and the National Center For Lesbian Rights to remove their names from a petition calling for a transgender womyn inclusive #Mitchfest. Dievendorf began the petition last year while Executive Director of Equality Michigan and wrote a moving explanation of her commitment to leave no one behind in the fight for equality. Equality Michigan - as the statewide advocacy organization for the LGB and T communities in Michigan - asks that you live your values. Stop playing Fest. Stop sponsoring Fest. Stop attending and giving your money to an event that, in being passive in its bigotry, is active in its exclusion - because your money is its own passive acceptance of how your investment impacts those around you. Stop making excuses. Supporting Michfest makes us weapons against our own people. Until trans*women are invited to sit next to you as their authentic selves, it is hypocrisy and it is harm. BiNet USA applauds Emily Dievendorf for her strong stand for transgender inclusion and her committed interest in proudly identifying as bisexual. Interestingly enough sometimes being out as bisexual has devastating consequences for bisexuals in the workplace. Bisexuals report lower levels of being out than their gay or lesbian peers, with one study finding bi employees eight times as likely to be in the closet compared to lesbian and gay counterparts. @elielcruz having never been with a guy, doing it for attention, straight-passing privilege. The usual. Bisexual* community members also report experiencing high levels of workplace discrimination, and just this month a bisexual man filed suit alleging sexual harassment from a gay co-worker at CBS. Kenneth Lombardi, a bisexual video producer, alleged not only sexual harassment but harassment based on his bisexuality. Yet, this same survey only found 1 in six bisexuals had filed any kind of complaint, including an internal complaint (with 45% citing a concern they would not get the assistance they needed as one of the reasons). Do you have experience being discriminated against as a bisexual person in the workplace? Do you have messages of support for Emily Dievendorf? Leave your thoughts in the comments or email our board directly at binetusa@binetusa.org. 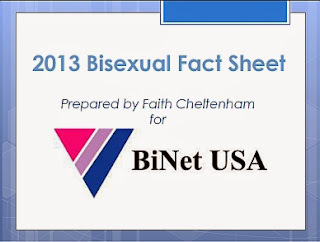 *BiNet USA uses bisexual as an inclusive community identity label for bi+, bi*, pansexual, fluid, queer, multisexual, omnisexual, polysexual and otherwise non-monosexual identified community members.